Belo Horizonte – or “Beautiful Horizon” – is the capital of the state of Minas Gerais, located in the southeastern of Brazil. It is the sixth largest city in Brazil with just over 2.4 million residents. Its metropolitan area is made up of 34 cities, ranking it third in the country, behind São Paulo and Rio de Janeiro. It is also one of the few cities in Brazil that was completely planned, giving it a very broad, open feel with easy to navigate streets and lots of parks and natural foliage. Other attractions include a number of great museums, such as the Museum of Arts and Crafts, some high-end shopping centres and nearby access to some of Brazil’s oldest and most interesting colonial towns, such as Ouro Preto. 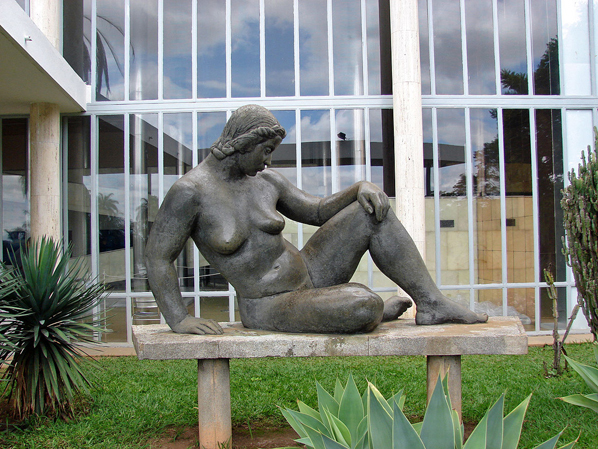 Belo Horizonte’s open spaces and the wide array of cultural activities regularly rank the city as one of the best places to live in Latin American. 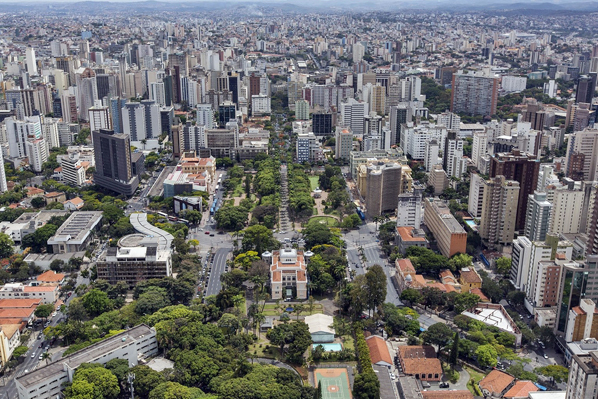 As Belo Horizonte’s positioning in the centre of Brazil makes it economically influential. Many multinationals such as Google, Fiat and Toshiba are headquartered here. The service sector plays a very important role in the economy of Belo Horizonte, being responsible for 85 percent of the city’s GDO, with the industry making up for most of the rest. The economic development has extended to many different tourism segments, above all the events and business segments. Belo Horizonte now boasts a quality tourism infrastructure, with good airports, hotels and restaurants, a vast array of services, sophisticated shopping, active nightlife and good spaces for medium sized events. Engineer Aarão Reis was responsible for putting the urban planning for the new state capital together. What his project did not contemplate, though, was the fast-paced development through which Belo Horizonte would go after a period of stagnation in the first decades of the 20th century. Soon the city expanded beyond its original limits and new neighbourhoods had to be planned and developed - the most notorious of them the Pampulha, an area of wide avenues and many squares and parks designed in the 1940s by Brazil’s premier architect Oscar Niemeyer. The big question when someone meeting someone from Belo Horizonte is whether they support Atlético Mineiro or Cruzeiro? The city is in love with football and lives under a constant atmosphere of rivalry between two of the top teams in Brazilian football. América Futebol Clube, the Coelho (Rabbit), is also a traditional state rival and has had its successful surges over the years. Atlético Mineiro was the winner of the inaugural Campeonato Brasileiro in 1971, and has been graced by the talents of Reinaldo, Toninho Cerezo and Éder, among others, while Cruzeiro’s silverware collection goes from one Brasileiro in 2003 to four Copa do Brasil titles, two Copa Libertadores crowns (1976 and 1997). The Raposa were the first stage in the career of such big names as Tostão and Ronaldo. The ultimate stage for the Atlético vs. Cruzeiro local derby and for the big matches held in the state of Minas Gerais is Governor Magalhães Pinto stadium, known also as the Mineirão - a 72,000-seater that has once housed over 100,000 fans and is one of the best and most iconic football grounds in Brazil. The older Independência Stadium hosted a legendary victory of the United States World Cup Team 1950 in a 1-0 triumph over England. Climate: Tropical on high altitude, with yearly average temperature between 9 and 35°C, humid/warm summer and a dry/cool winter). Spring starts in September, summer in December, autumn in March, and its winter in June. Belo Horizonte is located about 300 km from the sea.